1. 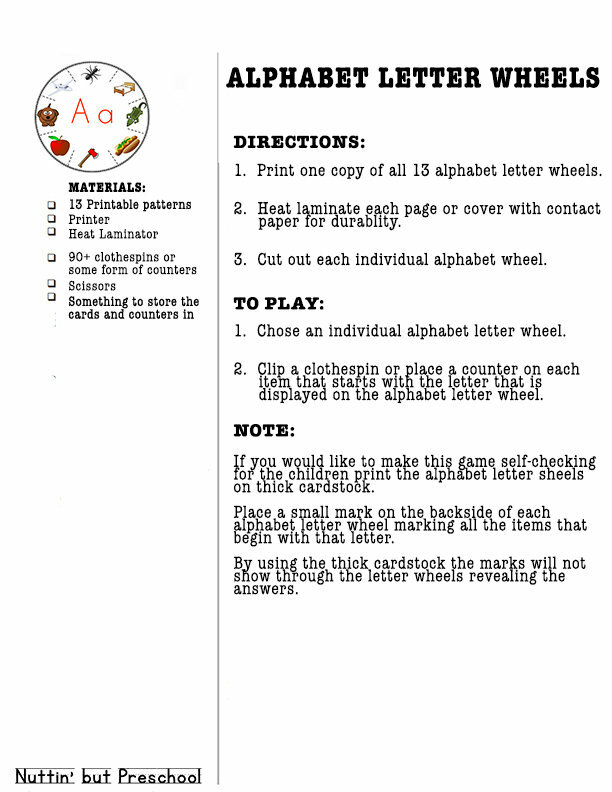 Print one copy of all 13 alphabet letter wheels pages. 2. Heat laminate each page or cover with clear contact paper for durability. 3. Cut out each individual letter wheel. 1. 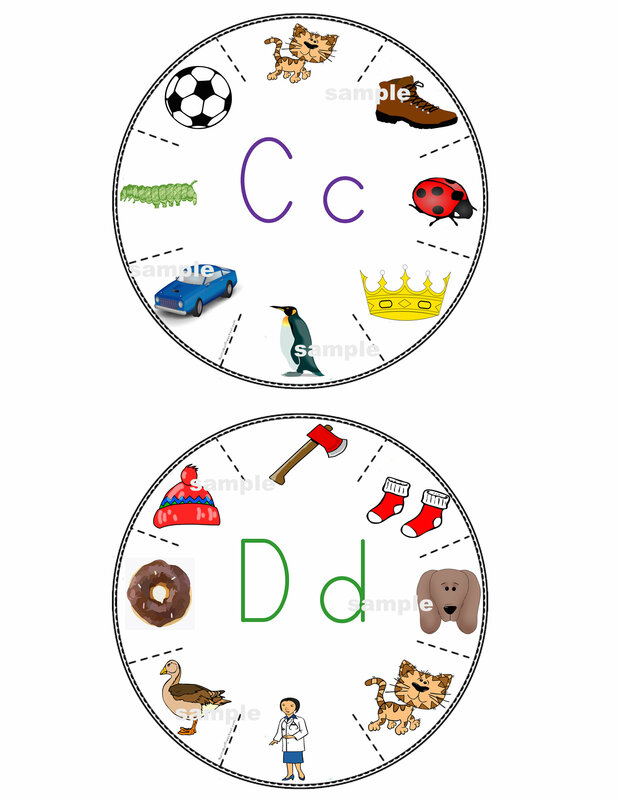 Chose an individual alphabet letter wheel card. 2. 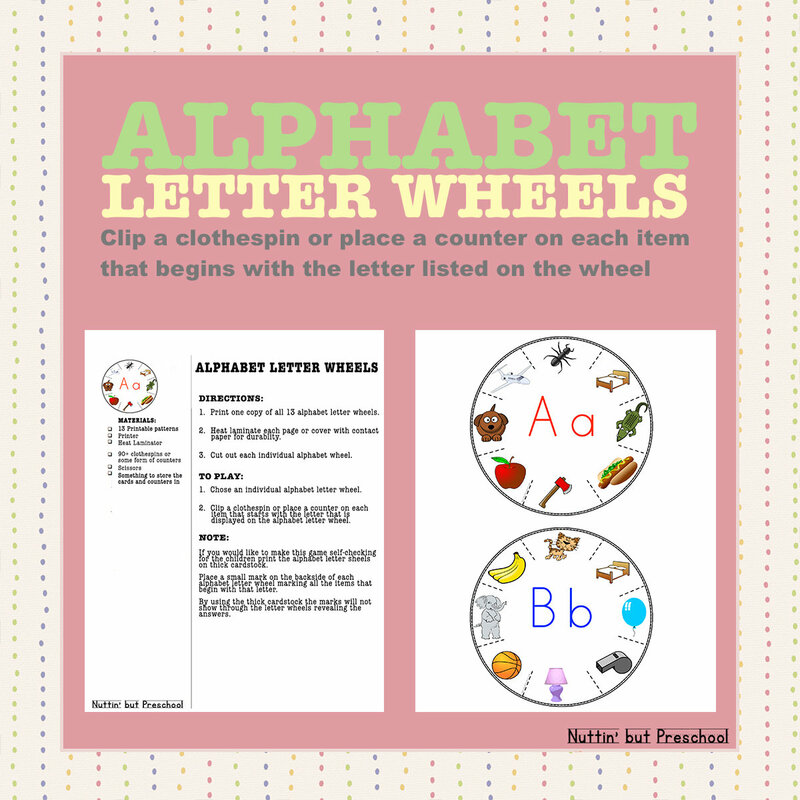 Clip a clothespin or place a counter on each item that starts with the letter that is displayed on the alphabet wheel. 1 zip file with directions and 13 pages, each containing two letters of the alphabet on each page.